Dudjom Dharma House is a name used for centres established under Rinpoche's patronage, located both inside and outside Bhutan, for practitioners to gather and practice Throema. Outside Bhutan, there are numerous centres established for the foreign practitioners. Similarly, in Bhutan, all 20 districts have a centre each which serves as a place to gather and practice Throema. 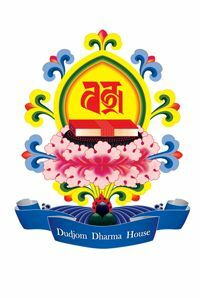 These centres are known by the name Dudjom Dharma House.